Celebrate the end of winter with this inclusive weekday getaway! Relieve your cabin fever and cuddle up in front of our giant stone fireplace, relax in our bubbling hot tub, and enjoy a stroll through the park as it blooms around you. 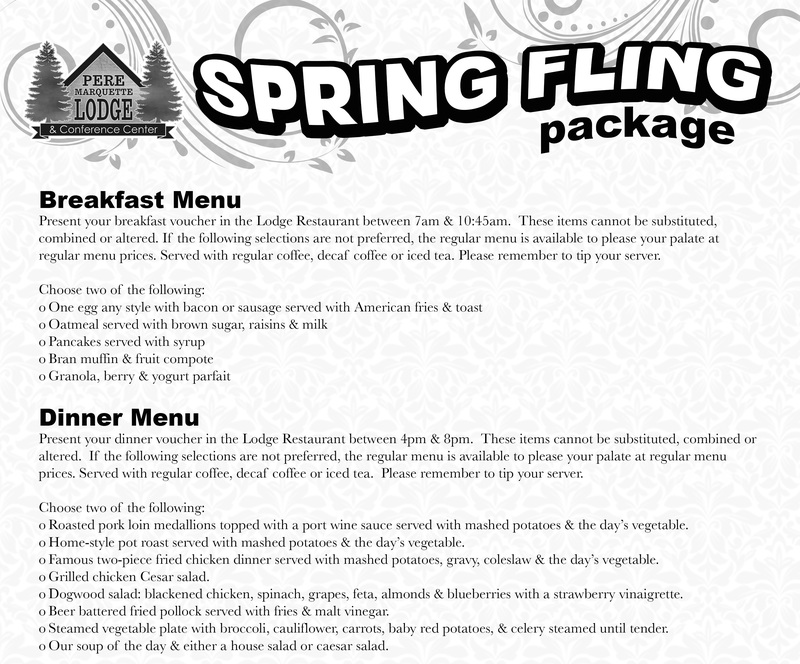 This Inclusive Spring Fling Package includes dinner and breakfast off of a select menu, two drink vouchers, and your room all for just $105 plus tax! Based on double occupancy, available Sunday through Thursday on select dates from March 3rd through April 30th, restrictions apply. Gratuity not included. This package is not adjustable or upgradable. One package per room, per night. Packages cannot be combined with a Mary Michelle Wine Club or any other advertised discounts. Package reservations cannot be made online. Give us a call at 618-786-2331 and reserve your spring getaway today!